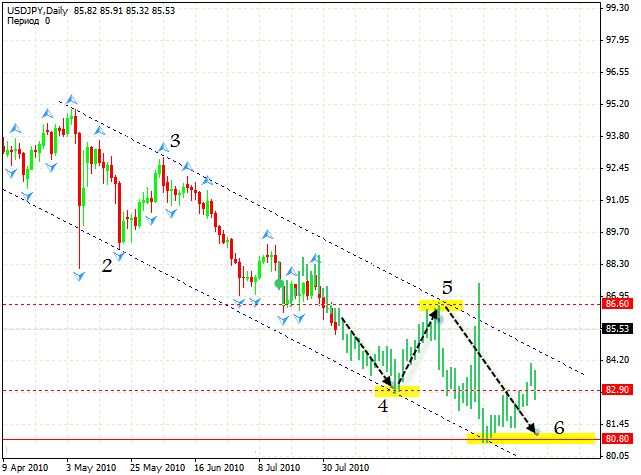 In case of the EUR/USD currency pair the rising channel has been broken. We can try to sell the pair with the stop above 1.3180. The target is the area of 1.2885, which is supposed to be a spot for the 5th point of reference, and the pair will continue to grow from here. In case of Pound the channel has not been broken yet, but we can see the formation of “head & shoulders” reversal pattern with the target in the area of 1.5470. However, we expect the 5th point of reference to be formed not at the level of 1.5470, but of 1.5540, that’s why I recommend you to capture the profit right here. 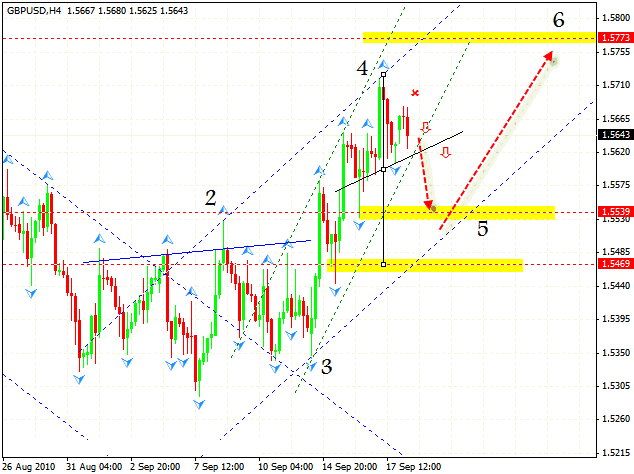 One can try to sell the pair with the stop above 1.5680. 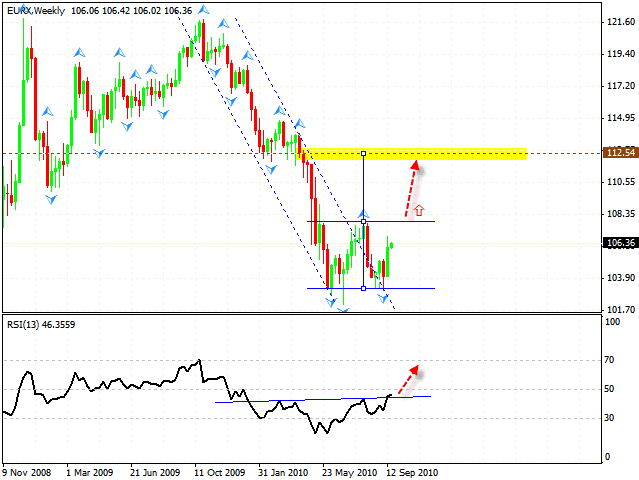 It’s been a while since we last discussed the USD/JPY chart. According to the latest news, new intervention of Bank of Japan has taken place recently, the first time since 2004. As a result, the rate hit the level of 82.90 and quickly went back. Now let’s take a look at the chart we had a month ago. We supposed the level of 82.90 to be a spot where the 4th point of reference would be formed and the pair would start to grow. Now we need to wait until the descending channel’s border is tested and after that we can try to sell the pair with the target in the area of 80.80. We can’t rule out the possibility of falling from current levels. 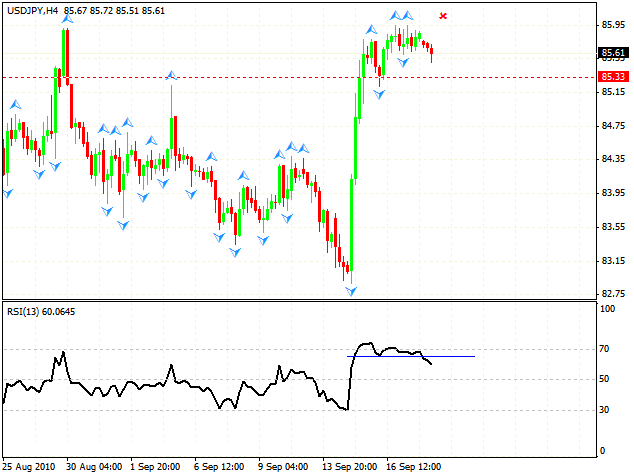 At the H4 chart we can see the formation of “Failure Swing” reversal pattern, the target of this fall is the area of 85.34. There is a possibility that “head & shoulders” reversal pattern will be formed at the Euro Index chart in the near future. The pattern has been formed at the RSI indicator and it is showing us that forex online trading index will continue to grow even further. This situation can lead to massive sales of Dollar in relation to the major currency pairs. 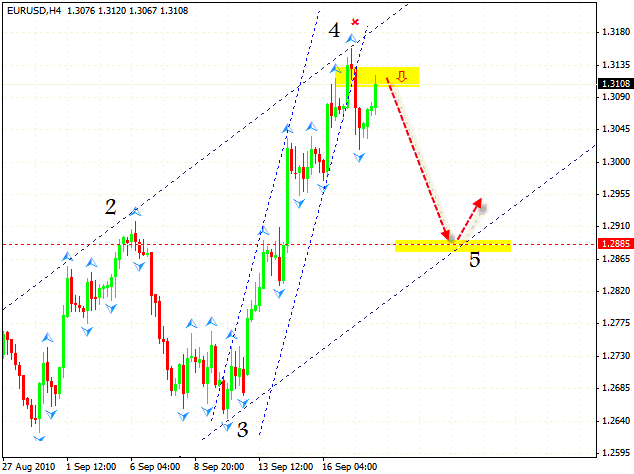 And in case the support level is broken, “double bottom” pattern will be formed with the target in the area of 112.54.